I’ve lost count of how many times I’ve hit the “check for updates” button from the system update screen but the response was always the same: no updates. For the last six months, I’ve been stuck with EMUI 5.0.1 version so today I decided that I was finally going to fix this problem once and for all. Failing that, I turned to the Honor8 subreddit for a solution and was not disappointed. Turns out the system update screen has another button located on the upper right corner. The Honor 8 EMUI update screen. Notice the hamburger menu on the upper right corner. Clicking that button allowed me to download the latest available build (FRD-L09C432B412-FULL). 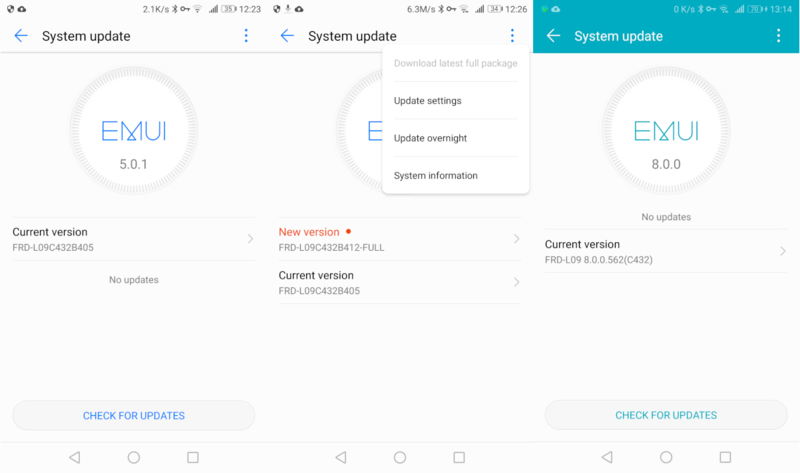 Upon installing the package, I got a new EMUI version and finally received a new Android security patch. However, there was still no Android 8.0 Oreo update to be had. 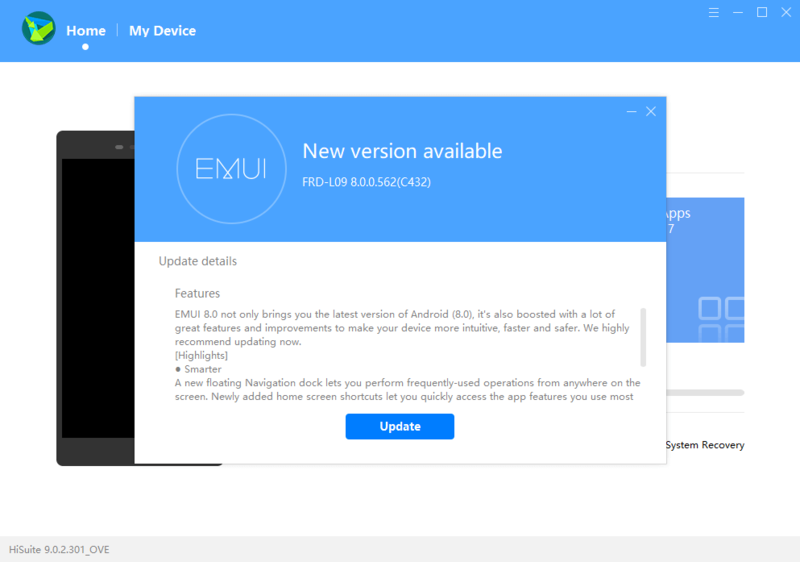 To receive the Android 8.0 Oreo update I had to install the latest Huawei HiSuite (9.0.2.301_OVE) on Microsoft Windows (oh, the humanity!). After connecting the device to the computer and allowing Huawei HiSuite unrestricted access (oh, the humanity! ), an update became immediately available. Finally, the coveted Oreo update was within my reach. Using Huawei HiSuite to perform the Android 8 update on a Honor 8 smartphone. The Oreo update went ahead without any issues and I’m now left with a brand new collection of applications and services I’ll be busy disabling in the coming hours. I have previously postponed the removal of my Google account from my Android phone as I expected it to be a troublesome and tedious process. However, last week I spent a day removing apps installed through Google Play and replaced them with free and open-source software alternatives as provided by F-Droid. As a firm believer in online privacy I refuse to use Skype, Google Hangouts or whatever non end-to-end encrypted service "normal people" are using for their online communication. As a consequence, friends who wants to message me are "encouraged" to install and use Signal. Recently this backfired as one friend insisted it was my responsibility to backup and restore messages on his new Android phone. What should have been a few relaxing minutes with (non Dana White approved) MMA related news on my Nexus 4, was soon to be turned into a browser hijacking battle courtesy of lovelink.us.